Gorgeous like new lakefront residence situated in a very private quiet setting with nice stream bordering the property. 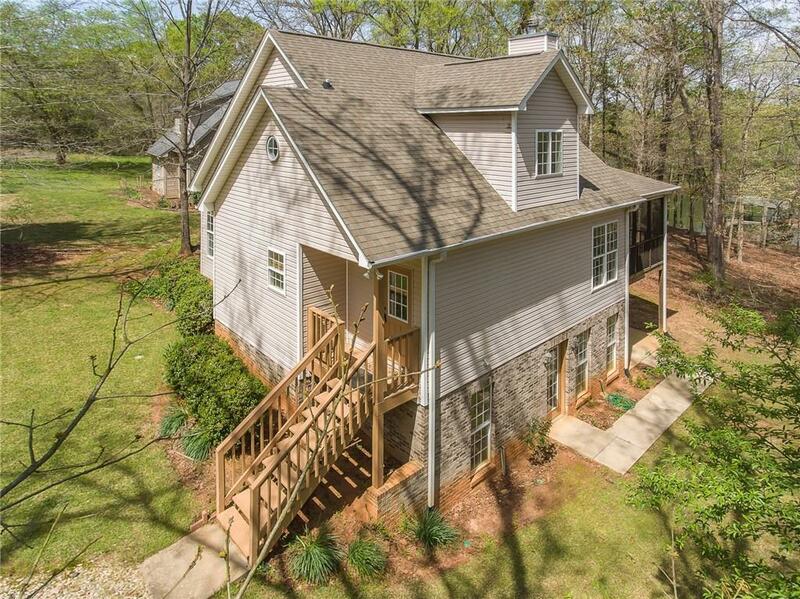 Home features soaring ceilings, hardwood floors, spacious kitchen with granite counters and stainless appliances, open layout, stone surround fireplace, screen porch, master suite with massive walk in closet and great views of the lake from the home. Gentle short slope to the double covered slip dock sitting in deep water. A full unfinished 1,185 sq foot basement is already wired, partially walled and has been plumbed for another bathroom. Enough space for a rec room and a 4th bedroom. Lake fed irrigation and alarm system in place. Fantastic cove for swimming and relaxing. Most all furniture and electronics plus appliances are included!